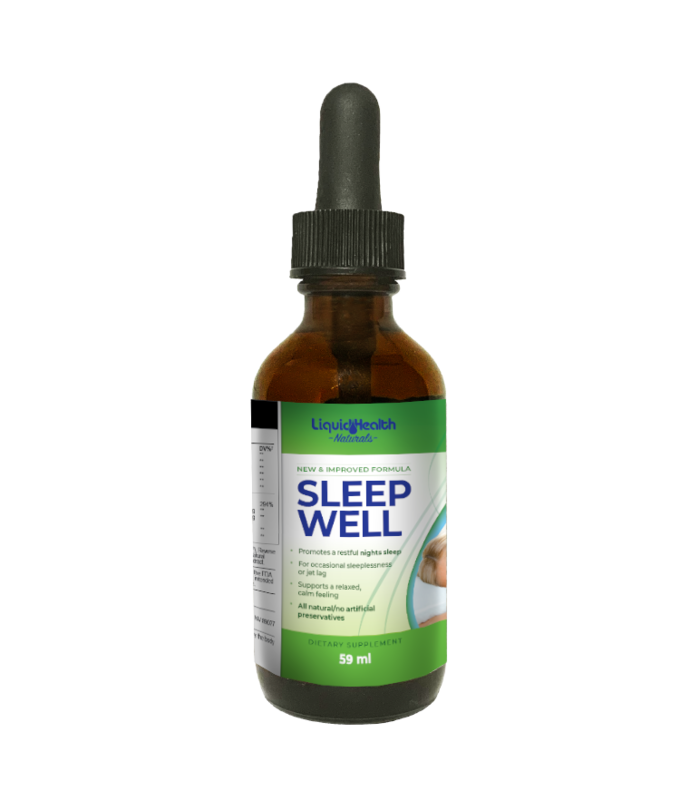 Recommended Use: 1 ml at bedtime; 1/2 ml may be sufficient for some people. Do not exceed 2 ml daily unless recommended by your physician. Other Ingredients: ACTIValoe® aloe vera juice, Vegetable glycerin (USP), Natural flavoring, Potassium sorbate, Grapefruit seed extract. **Daily Value Not Established*ACTIValoe® is a registered trademark of Aloe Corp, Inc.
*Suntheanine® is a registered trademark of Taiyo International, Inc.WARNINGS: USE ONLY AT BEDTIME. For adult use only. Not for use by children, teenagers, or pregnant or breastfeeding women. If you are under medical supervision, or have an autoimmune disease, diabetes, a depressive disorder, a thyroid condition, epilepsy, leukemia, or a lympho-proliferative disorder, or are taking MAO inhibitor drugs or corticosteroids such as cortisone or prednisone, consult your physician before taking this product. Do not take this product when driving a motor vehicle or operating machinery. CONTAINS NO SUGAR, STARCH, SALT, WHEAT, GLUTEN, YEAST, MILK, OR SOY DERIVATIVES.THESE STATEMENTS HAVE NOT BEEN EVALUATED BY THE FDA. THIS PRODUCT IS A DIETARY SUPPLEMENT AND IS NOT INTENDED TO DIAGNOSE, TREAT, CURE, OR PREVENT ANY DISEASE.